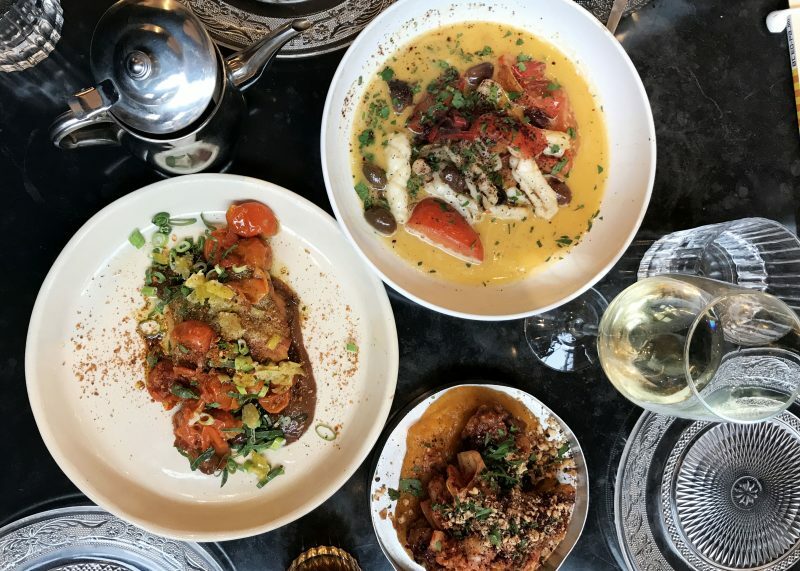 It wasn’t until recently I’d really ventured to many places around Southwark (pronounced Sou-thark, but spelt Southwark), but over the past 4 months I’ve had a few notably nice meals. Here is the Warsaw’s World guide to Southwark – if you have other recommendations then I would LOVE to hear them! 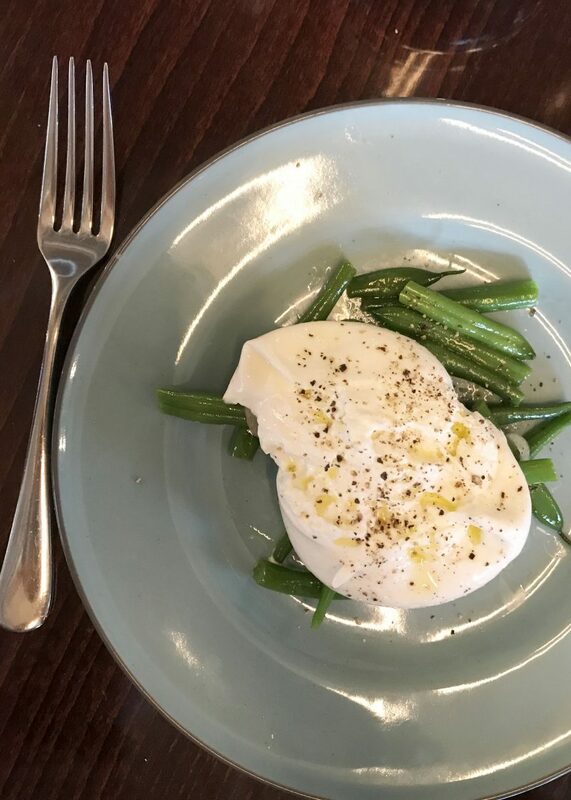 The Table Café on Southwark Street should be high on your list. All their food is fresh, and mostly sourced organically from local farms and suppliers. They even tell you where things are from, on the menu. 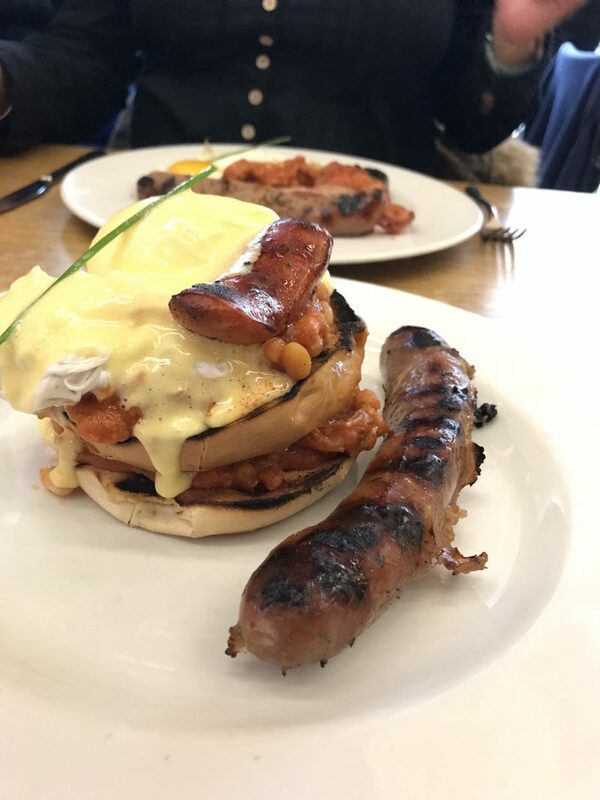 I had ‘the Stack‘; homemade ham hock & chorizo baked beans, bagel, poached eggs & hollandaise (plus I had a sausage on the side). Siân had the full English and Bob the veggie version (just for fun – full menu here). There were Bloody Marys, Prosecco and coffee on offer, of which we had all three. Atmosphere was chilled and despite being told I only had an hour at the table originally, we actually had about two – which was very pleasing. Not after brunch? Perhaps more of a lunch? 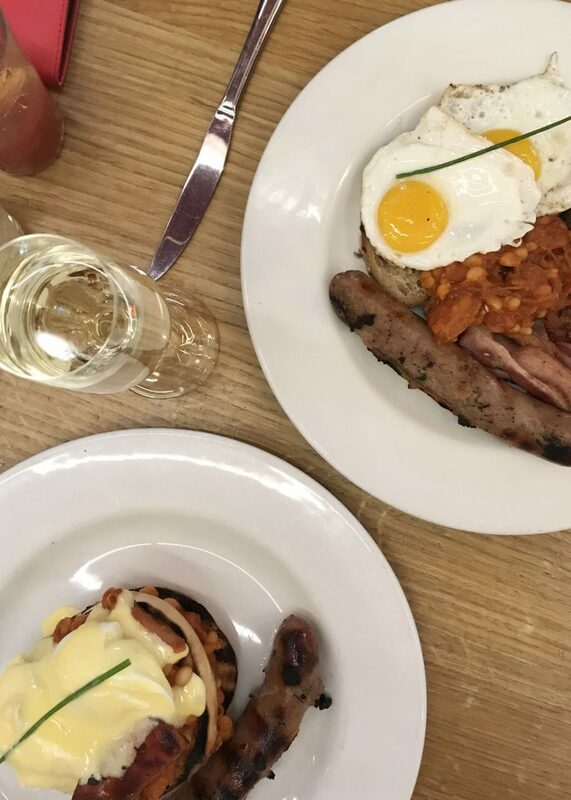 (Brunch times seem to go on forever these days so who even knows what time you’re meant to eat what). 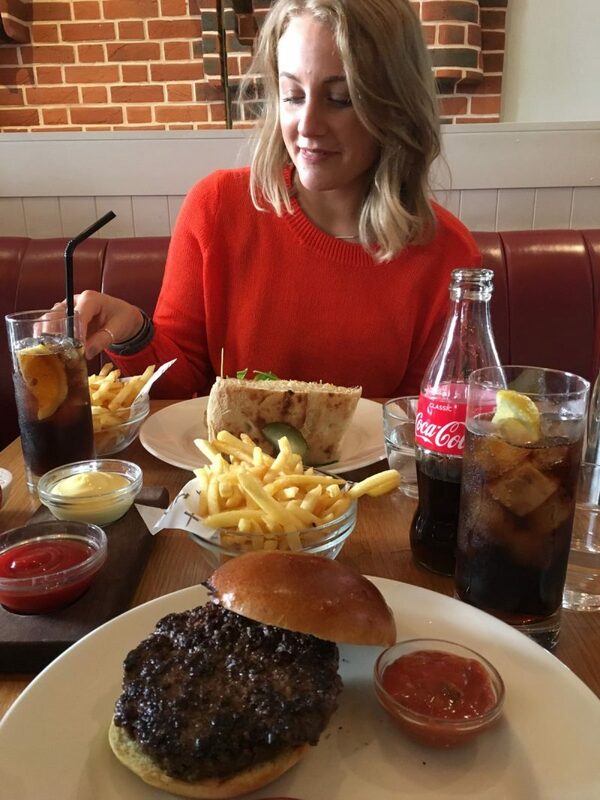 A few months ago I had lunch at Hixter (just down the road from the table street cafe), I mean it was a pretty fancy lunch spot to be honest but also very nice. Steak sandwiches (with scrumpy-fried onion rings) and ground rib steak burgers were on the menu, each served with chips AND we treated ourselves to full fat coke haha! If the rest of the menu is as good as my steak buttie was, then I’d fully recommend! Ok ok, what about a bit of Italian / Mediterranean? Gordon Ramsey’s Union Street Café has an Italian head chef and changes the menu daily in line with seasonal specialities. I had a delightful burrata to start, followed by some tomato pasta (hahah because it changes all the time I couldn’t find the menu). Anyway, the lunchtime menu was really good value for a Gordon Ramsey spot, check the latest on their website! Bala Baya is an airy, open Israeli restaurant inspired by the food and people of Tel Aviv. Delicious sharing plates littered the table, cod (which I am eating now I know it’s sustainable), crispy chicken, salmon pita, calamari to name the ones we picked; the rest of the menu sounded delicious too! An amazing, light restaurant with a large balcony area within the arches just off Union Street – I didn’t try them at my lunch but the cocktails look amazing, I reckon there would be great vibes there during the evening. Need a giggle and some great food? My final restaurant recommendation is ‘The Laughing Gravy’. On Blackfriars Road, less than 10 mins from Waterloo this restaurant / bar serves delicious a la carte food, with a lively bar area too. 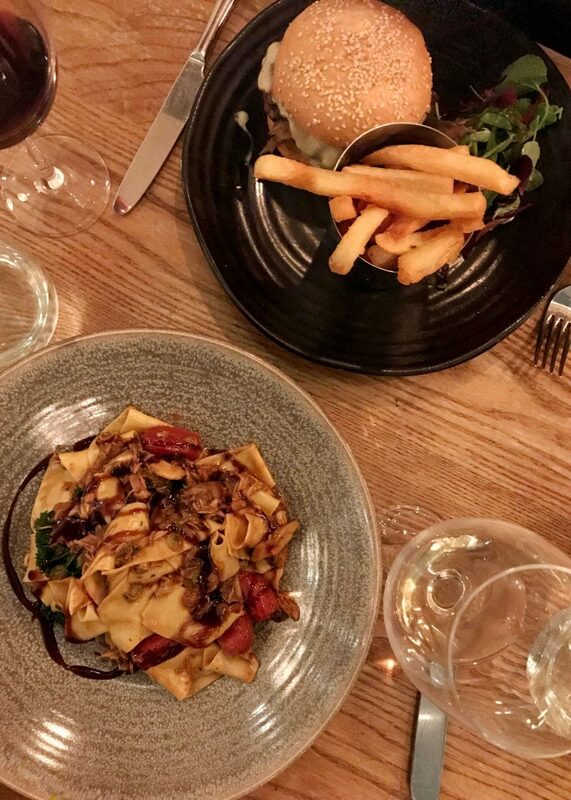 On the waiters recommendation I had the Braised rabbit pappardelle ragout and Dad had the Aberdeen Angus cheese burger. It was lovely, I even had my first ever restaurant ordered glass of red wine (I’m so grown up these days). 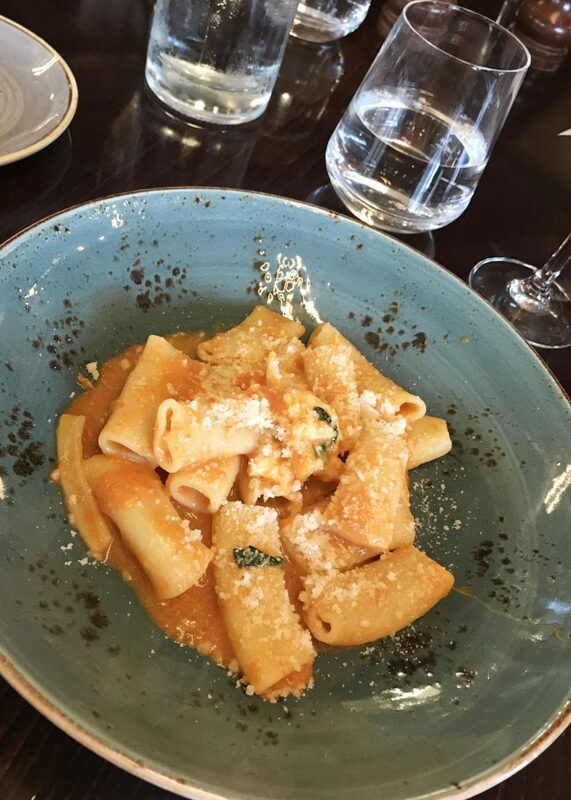 The rabbit pasta (haha sounds much less fancy when I say it like that), was really good and I would fully recommend as a spot for taking parents! Head to Doggetts next to Blackfriars Bridge for a river view, sports and beer, or a little bit further down is the Founders Arms – lovely city views and a great scotch egg is on offer. Or, if you like burgers and serving your own pints then The Thirsty Bear is the place for you. Jack’s Bar is hidden down near the arches on Isabella Street, just behind Southwark Tube station. So many great places in Southwark, this is just a small selection! Have you got any recommendations? Read other reviews across London & the UK. Next Post Goodbye London. Hello Shanghai.